Right in the wake of Nissan's unveiling of its first electric car, the Leaf, another EV could soon return from the dead. 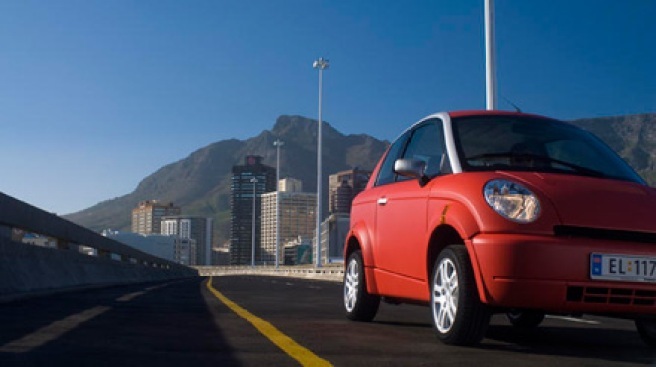 Think, the Norwegian automaker, began building its tiny City car in 2007 but halted production last year after running out of money. But as the New York Times reports, Think will begin selling electric drivetrains powered by lithium-ion batteries after securing a new round of funding. For its first order, Think will sell drivetrains to the Japanese postal service, which plans to convert some of its 22,000-strong delivery fleet to electric power. As for the City, the report said that engineers are working hard on the car's software to increase its top speed to 70 or 75 mph from the current 62, which isn't sufficient for America's long highways. Currently, Think plans to sell or lease the City to corporate fleets, and possibly provide some vehicles to car-sharing services like ZipCar, according to the article.